Automatically measures weight, height body mass index accurately rapidly. 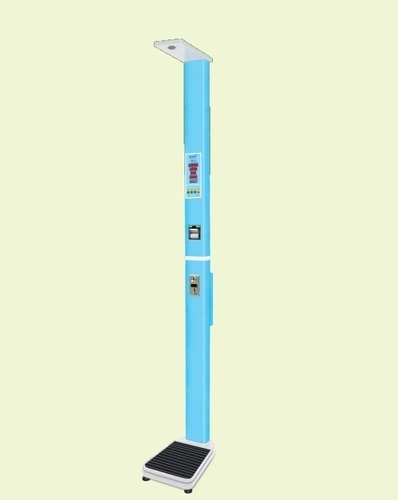 Displays weight, height Body Mass Index. 24 col. Thermal printer / serial dot matrix printer. Can print Date, Time, Weight, Height, BMI amount of overweight/underweight. We are a leading manufacturer, supplier, trader and service provider of industrial weighing instruments & digital weighing instruments. With the assistance of our state-of-the-art infrastructure and proficient team members, we also offer customized products & upgradation facilities to meet the specific weighing and bagging needs at client's end. We are authorized dealers of Phoenix & Essae-Teraoka Limited, which is an ISO 9001:2000 certified company having more than 2,00,000 successful installation experience of different instrumentation products across global markets.